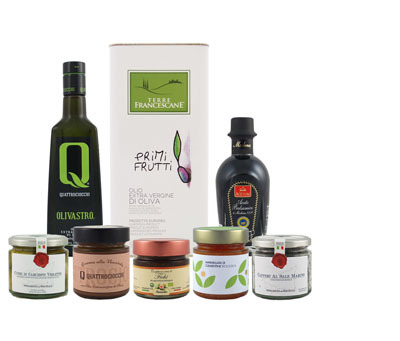 From renowned Puglian producer, Olio De Carlo, this stone-crushed garlic extra virgin olive oil is made by milling hand-picked olives simultaneously with fresh garlic. The resulting oil is incredibly aromatic and truly natural in flavor. Try with mashed potatoes, grilled vegetables and roasted meats or drizzled over toasted bread and wood-oven pizza.